The history of the saffron in man's culture and customs dates back to more than 3000 years ago. In Greece, traces of the use of saffron were discovered on paintings dating to 1 500 BC, found during excavations in the palace of Cnossos in Crete. The frescoes represent a young man or girl harvesting crocus flowers in a basket. 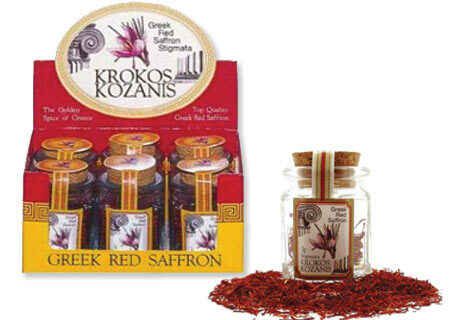 Situated in the southern department of Kozani in Greek Macedonia lies the territory of Krokos, the only place in Greece, and one of the rare places in Europe, where saffron is cultivated. The name of this town of 5 000 inhabitants found its origin in that of the saffron producing flower, the crocus sativus, Crocos in Greek. The present cultivation of saffron in this area (800 - 1 200 hectares have been dedicated to this purpose) goes back to the 17 th century; soil temperature and humidity typical for this region, the cultivation method used, as well as 3 centuries of experience explain the fine quality and characteristics of Kozani Saffron. With respect to quality, this saffron is considered to be one of the world’s best. Greek saffron from Kozani has obtained the certified label of Protected Designation of Origin ( PDO) the consumer’s warranty as to its origin, its traditional production method as well as its quality and specific characteristics. A miracle of nature, saffron is the most expensive spice in the world. Its high price is the consequence of its extraction process as well as its short period of bloom which is two weeks during October and November. 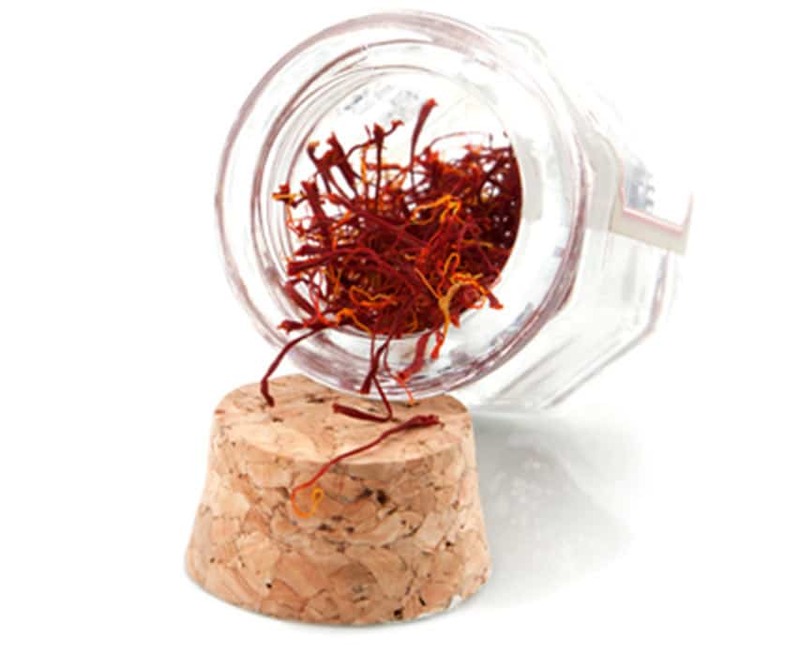 About 40 hours of intense labour are required to obtain 1 kg of dry saffron. •do not use wooden utensils. These being absorbent, we wouldn't like to lose even the slightest particle of this precious spice. 6 glass jars with cork in an attractive display box. Protect saffron from light and humidity, in this way it will keep for up to 5 years.